TOKYO (Reuters) - Hello Kitty, Japan's ambassador of cute, is on a government-funded mission to space. The project to launch Sanrio Co Ltd's white cat with a pink bow into orbit is part of Prime Minister Shinzo Abe's push to promote Japan's high-tech industry and engineer economic growth. The goal of the project is to get more private companies interested in working with satellites, said Toshiki Tanaka, researcher in charge of the project at the University of Tokyo's Nano-Satellite Center. Developers chose Sanrio as their first private partner after judging that it could get Hello Kitty's many fans interested in space, Tanaka said. "Through this project we can make those people interested and stimulate their scientific curiosity. We can move their hearts," Tanaka told Reuters. The researchers have been working on maneuvering the satellite so it would point in the right direction when taking photos of Hello Kitty with Earth as a backdrop for the past two months. They also used special paint to coat the Hello Kitty mascot to protect it from UV rays, cosmic rays and vacuum space. 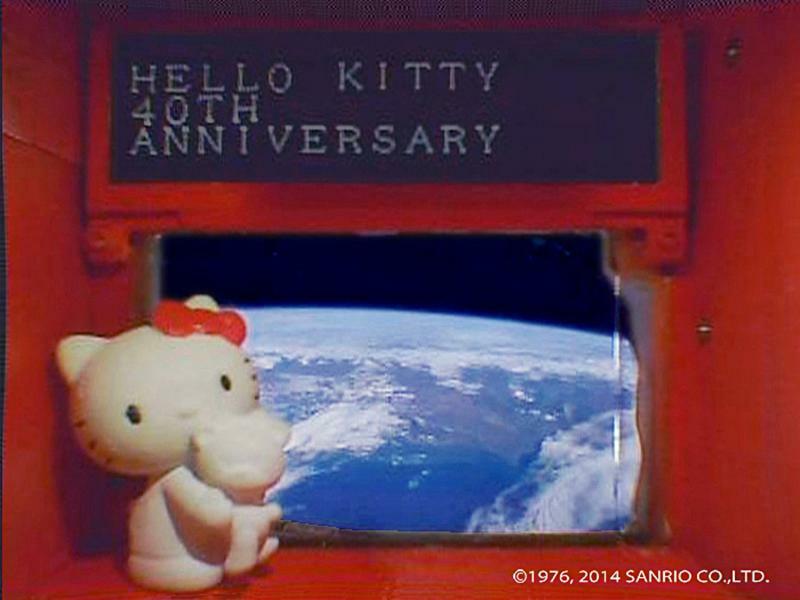 Sanrio has asked fans to submit 180-character messages that Hello Kitty could deliver from space to friends and family. Sanrio received 100 submissions in the first day, said Kazuo Tohmatsu, the company's spokesman. 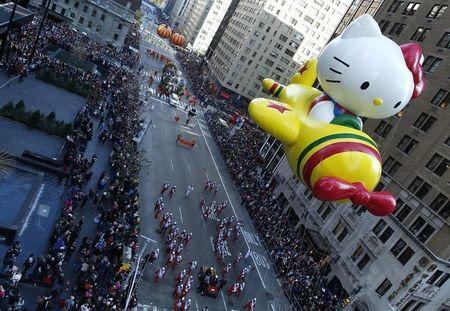 Hello Kitty, celebrating its 40th anniversary this year, is Sanrio's most popular character. The mouthless cat has become a symbol of Japan's culture of "kawaii," or cute, and is used to market everything from plush toys to aircraft.